It is not often in today’s music that you find an Australian artist who truly captures the essence of soul, with the potential to cross over to mainstream. There have been a number of notable acts in modern times, from CDB in the 1990s, to the memorable but short-lived, mid-noughties boom led by artists including Israel, Selwyn and Cristian Alexander, as well as the success story of the neo-soul crooner Daniel Merriweather. Australia has not reached that point of embracing homegrown R&B/Soul. 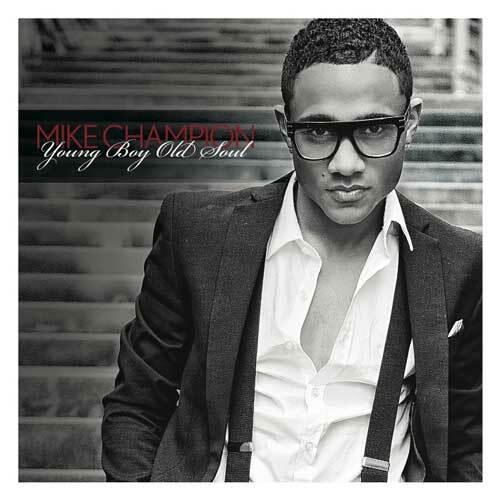 But that hasn’t stopped Mike Champion from pushing through the resistance with his debut album, Young Boy Old Soul. The album title rings undeniably true for the sleek Sydneysider. Released in 2012 under the independent record label Some Kinda Entertainment, Young Boy Old Soul envelops the R&B sounds similar to the likes of Maxwell and D’Angelo. Whether it be the smooth love tunes of Heartbreaker, Luv II Luv U and Under Pressure featuring Natalie Conway, or the funk vibes found in I.L.O.V.E.Y.O.U, Luv Mathematics and Love Jones featuring Earthquake. Each track flows effortlessly, with the inclusion of interludes, as he narrates the common theme of love but with his own interpretation. It is clear that Mike Champion has a firm grasp on the genre. Which is particularly refreshing, considering nowadays, the lines are now blurred, and artists who once created this style of music are crossing over, producing quite the contrary. A record to simply groove to may be just the thing to remind us all that R&B is still alive. He certainly delivers. However, over the last couple of years, we have witnessed a new direction for R&B. Artists such as Miguel, Frank Ocean and The Weeknd have raised the bar and set a new standard, re-inventing the sound and lyrical expression. The next crucial step for Mike Champion is to hopefully welcome this transition and create a sophomore album that forcefully contends with his international counterparts. Mike Champion can be a true player in the R&B game, and as his name suggests, he may be on his way winning.